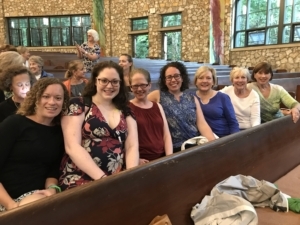 A small group from our study (pictured: Laura Patterson, Kristen Sanders, Leanna Granillo, Katie Scott, Laurie Scott, Jeane Jones, and Becky Jolly) attended the Women’s Connection Conference Keynote Session at Montreat this past weekend to meet and hear Kate Bowler speak more about her book, her faith, her fears, and her hope found through God’s presence with her in her brokenness. 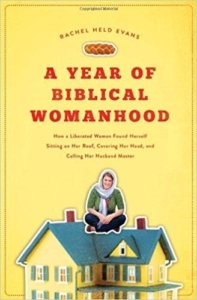 If you would like to join the Young Ladies Book Study in reading A Year of Biblical Womanhood by Rachel Held Evans this fall, please contact Katie Scott by email or 724-991-1958). The first meeting will be Sunday, September 9 at 7:00 p.m.at Katie’s house. As always, “young” is a self-determined status. You/All are welcome to join this group! 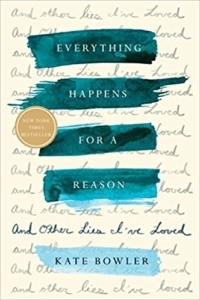 Click here to purchase September’s read.